You know that feeling of dread you get toward the end of the weekend when a flash of Monday morning's inevitable chaos creeps into your mind? There's a name for it—the Sunday scaries—and we're here to tell you it's a very real thing. Transitioning out of your yoga gear and back to the workweek is always a challenge, but we've recently been assured that there is a way to soothe your anxious mind. No matter what your busy week has in store, one thing is for certain: Planning ahead can save you precious time and sanity. Need proof? 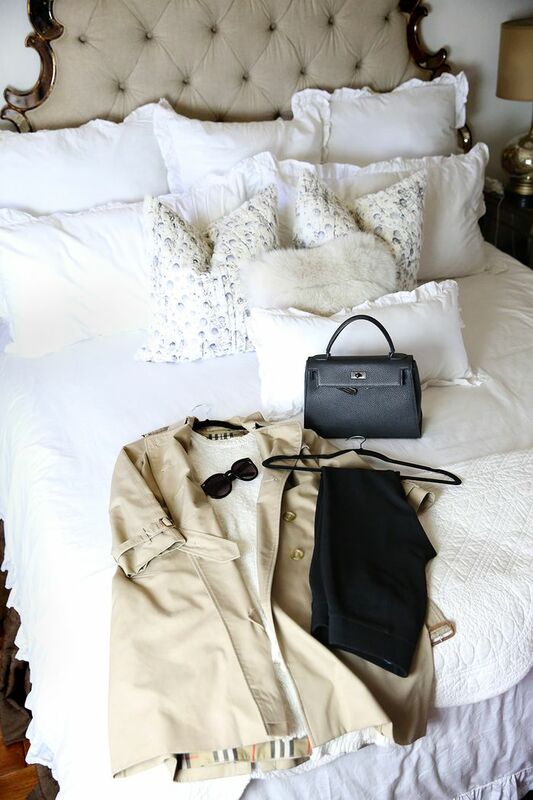 Today Kathleen Barnes of Carrie Bradshaw Lied is sharing her hacks for staying sartorially organized all week long. 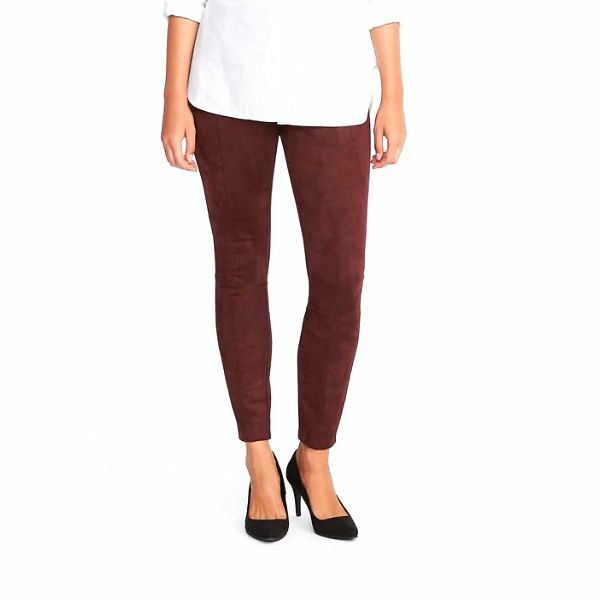 Her best advice: Find a go-to super-versatile pair of pants (hers is Old Navy's Stevie pant) to build your looks around. Ready to say goodbye to the Sunday scaries? Read on for Barnes's three best-outfit planning hacks. No matter what the day throws at her, Barnes takes time to keep things organized. 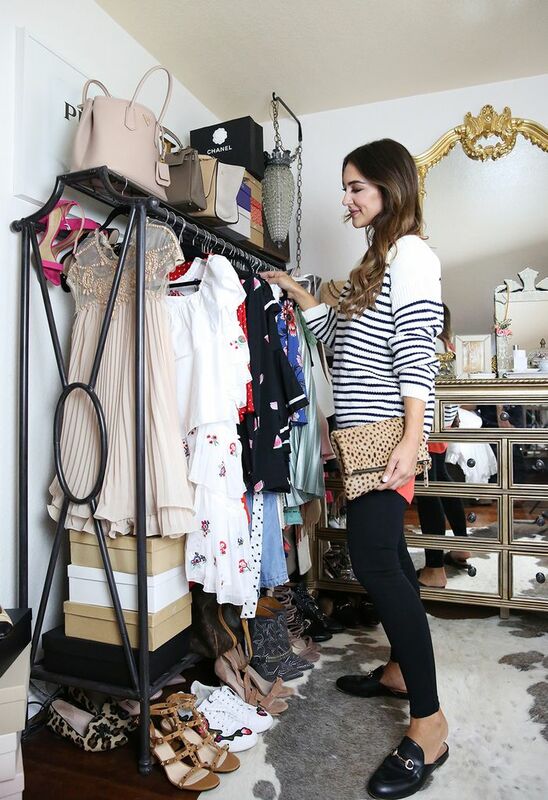 "Everything has a place because it helps me get ready as efficiently as possible," she tells us. "When my surroundings are tidy, I feel clear-headed!" Since fall weather can be unpredictable (hello, random rain showers), Barnes advises that you take everyone's mom's advice and check the forecast before planning your outfits for the week. She likes to prepare at least a few looks in advance so that on especially busy mornings, she can run out the door in minutes. Already having your optional layers on hand, like this crisp striped sweater, will keep you one step ahead of the game when your weather app gets it wrong. For Barnes, the true key to saving time on a busy morning is having go-to staples that are easy to build a quick, stylish look around. 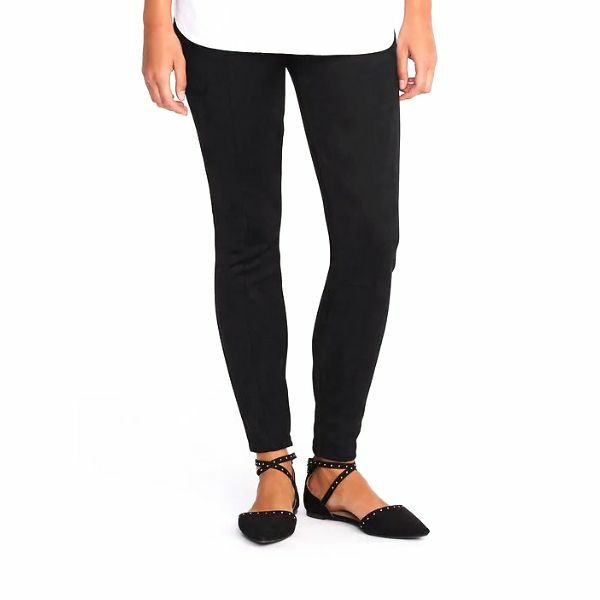 That could be your classic trench or your most recent shoe splurge, but for Barnes, that staple is her Stevie pants. "They're body-hugging and look great with everything, from sweaters on the weekends to blazers during the workweek," she explains. This particular outfit formula is one she tells us she wears over and over during the fall. Her Stevie pants paired with her cinched trench coat and pointy-toe flats make for a look that's polished enough for meetings but trendy enough to carry her through any last-minute evening plans. Repeat this uniform as required, Barnes says—simply swap out your top and footwear, and keep this on rotation for any time you just can't. For her third go-to outfit for the week, Barnes is planning for those days when she can't quite bank on making it home to change before her evening plans. When she doesn't have time to swap out her outfit, Barnes simply carries additional accessories, like this edgy studded belt, to dress up her look. Barnes notes that planning a transitional look takes a little extra time. "Don't put off outfit prep until 10 p.m. Sunday night," she warns. Instead, she likes to try on her looks while watching her favorite shows so that the activity doesn't feel like a chore—her relaxed approach leads to good decision-making, like remembering to wear her most comfortable block-heel booties. When all of her looks are ready for the week, Barnes sets them aside in her closet in the order she's predicting she'll wear them in. One final tip? Keep track of each piece by making like a stylist and hanging your complete look on one hanger—including all of your accessories—with shoes underneath. Sold on the time-saving powers of outfit planning? 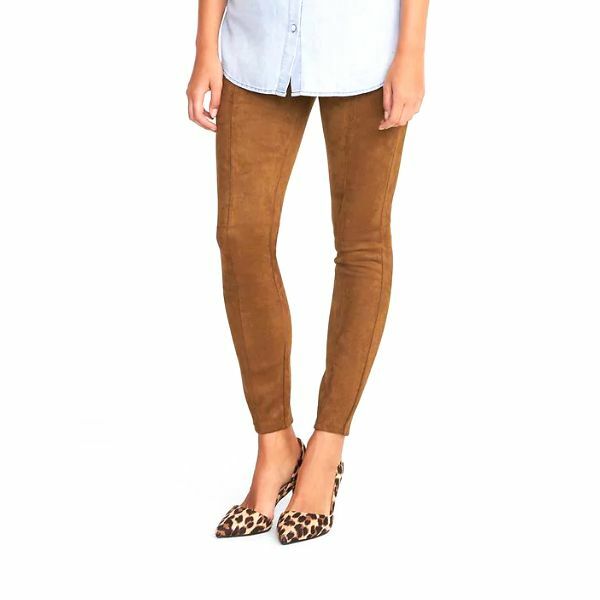 Shop Old Navy's Stevie pants, and start planning your transitional looks for the week ahead.